In this round of i3, we present seven new ideas of financial products and services for your credit union. Imminent Death: Are We Prepared with a Will? relaunch: Save Up. Start Again. 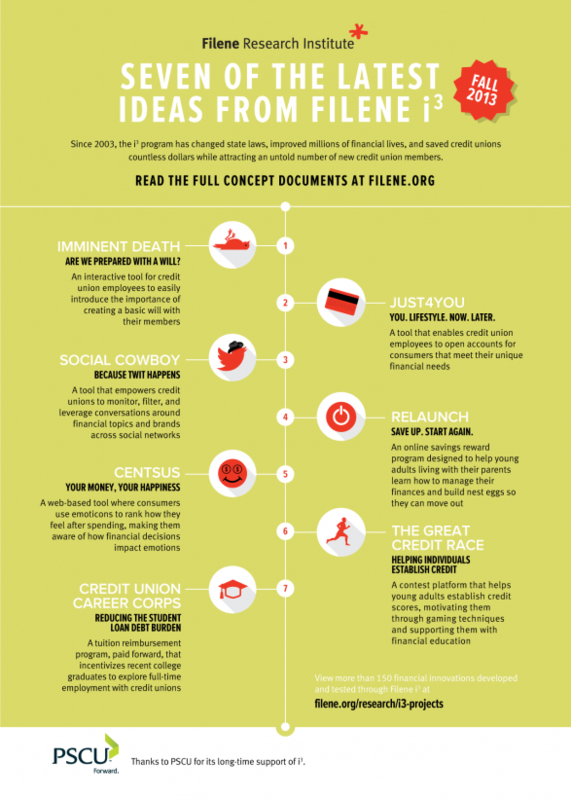 Ideas developed in Filene’s i3 program since 2003 have changed state laws, improved millions of financial lives and saved credit unions countless dollars while attracting new members. Want us to let you know when we recruit for 2014 or know of someone who fits the bill? Click here!